Food Writer and Celebrity Chef; Author of Fed, White and Blue: Finding America with My Fork. 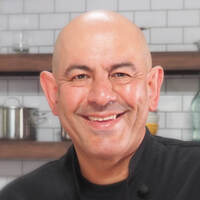 Simon Majumdar is a world-renowned broadcaster, food writer, speaker, author and cook who has dedicated the second half of his time on this planet to fulfill his ambition to “Go Everywhere. Eat Everything.” It is a journey that has taken him to all fifty states and to dozens of countries around the world.